This complex multi-vitamin / mineral containing our famous “Majestic Earth Plant Derived Minerals” is the most advanced multi-vitamin until today! 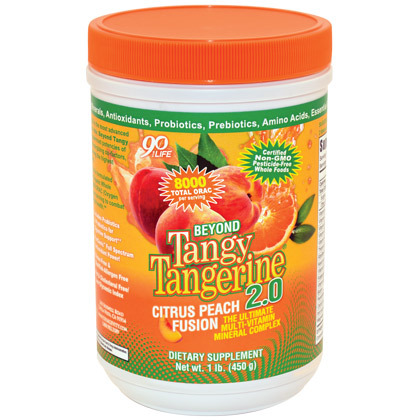 It contains powerful, nutrient co-factors synergists, and a prebiotic and probiotic mixture promotes intestinal absorption maximum. 480 g (30 servings). * The antioxidant support PuriGenic! WARNING: If you are pregnant, nursing or taking medication, consult your health professional before using this product. KEEP OUT OF THE REACH OF CHILDREN. For use exclusive dietary supplement. 1 jar of 480 g.
Vitamin A, Vitamin C, Vitamin D-3, Vitamin E, Vitamin K, Thiamin, Riboflavin, Niacin, Vitamin B-6, Folate, Vitamin B12, Biotin, Pantothenic Acid, Calcium, Iron, Magnesium, Zinc, Selenium, Copper, Chromium, Potassium, Organic Trace Minerals, Glucosamine, MSM, Chondroitin Sulfate, Organic Amino Acid Complex, Inositol, PuriGenic Multifaceted Free Radical Defense System (Proprietary Blend: Organic bioflavonoids Amla, selenium (as selenomethionine), grape seed extract), Beet Root Extract, PrePro Prebiotic and Probiotic, Co-enzyme Q10, Boron, RejuvaSweet Linear and Branched naturally Sweet Chained Cellular Energy Concentrates, natural flavor and color, organic stevia, Acacia Gum.